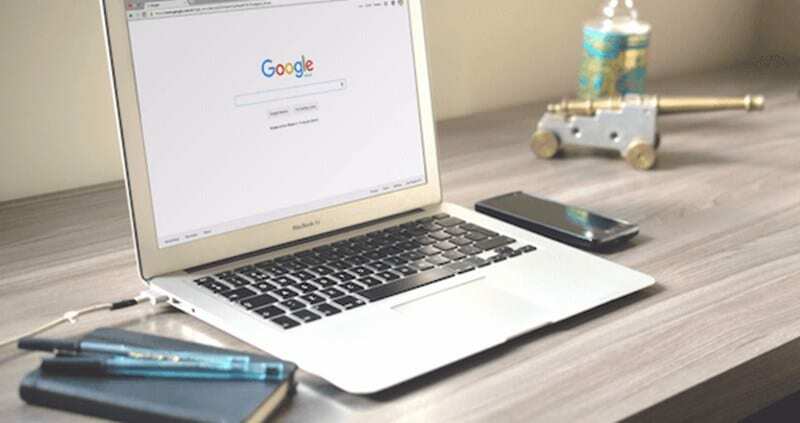 Let’s have a look at the guide to Turn Off Chrome URL Autocomplete using the inbuilt settings of your Google Chrome that will disable this autocomplete option. So have a look at complete guide discussed below to proceed. Till now you must have read our lots of guides related to Google Chrome as this is one of the best browser in the market that lots of users are using. Today almost 70% traffic is using Google Chrome browser and developers of this browser are working day night to add all new features in this browser to make it perfect for the users. Lots of customizations are possible in this browser. And today we are triggering one of the cool features that you can use that is turning off the URL auto-complete feature on your Google Chrome. Yes, this is possible and most of the users are not aware of this. As even I was not knowing about this till I researched for this as sometimes you may don’t want to show the complete URL to someone as you just want to browse other website and some other complete URL may appear that you don’t to show to other. That is why this is embracing much time so better to turn off this Autocomplete option so that you can directly add the URL. And you can implement this without using any tool and also the method is not that much hectic. So have a look at complete guide discussed below to proceed. The method is quite simple and straight and you just need to access some advanced settings of your browser that will turn this feature off. So have a look at the step by step guide that I have explained below. 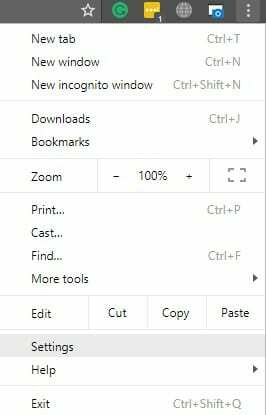 #1 First of all, you need to access the Google Chrome settings by click on three dots button and clicking on the settings option there. Once you click on it a new tab will open and you will see settings there. 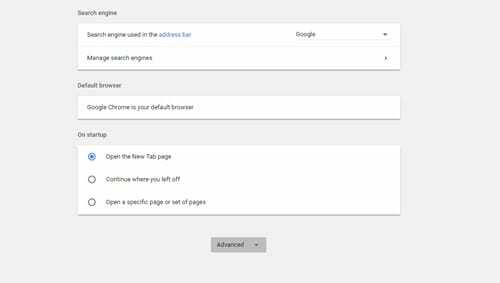 #2 Now at the bottom of the page you need to click on Advanced option there and this will explore advanced settings of the Chrome. 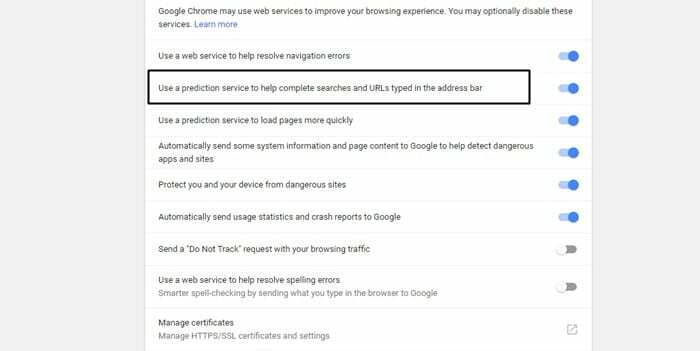 #3 Now there you will see the option “Use a prediction service to help complete searches and URLs typed in the address bar” and you just need to turn this feature off. So that you can’t see the prediction URLs there. 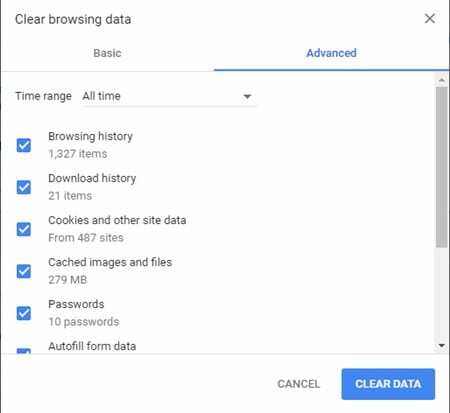 #4 Now you need to access history and to clear it for that simply tap CTRL+H option to access the history option and there click on “Clear Browsing Data” and then select all the time to clear. #5 Now the process will start and all the history data will be cleared. And this will help you to clear everything so nothing will appear in the URL section. #6 That’s it you are done and this will turn off the Chrome URL Autocomplete option there. So this guide was all about How to Turn Off Chrome URL Autocomplete, So simply use the guide and you just need to access the advanced settings and then you will get rid of this permanently. Hope you like the guide, do share with others too as others can also access this feature and can implement this. Do share with others too. And leave a comment below if you have any related queries with this as the Techviral team will be always there to assist you with your issues.